Maun — Cuban Ambassador to Botswana, Mr Juan Carlos Arenciba Corrales says his government is willing to help Botswana fight against malaria especially in Ngamiland district which commands a high prevalence of disease. Speaking during a courtesy call on the local authorities in Maun on Friday, Februray 20, Mr Corrales said there were many areas that the two countries could cooperate on especially on the health sector. He cited malaria and diabetes as areas of such cooperation. 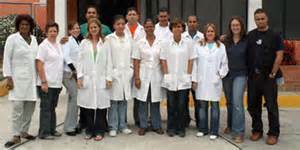 He said Cuba had developed anti-malaria plants which produce bio-larvaecides to fight mosquitoes at the larva stage. The Ambassador said anti-malaria plants were sold as a package which means a team of experts would be sent to train local health practitioners on its implementation. If the district was interest in the cooperation, he said they could make a proposal to the ministry of Health seeking the partnership from the government of Cuba. In addition, he revealed that the partnership would benefit the district more so that it was a tourism destination. In an effort to strengthen the cooperation between two governments in area of health, Mr Corrales noted that two specialists would be sent to Ngamiland district to beef up those already on the ground. He said the Cuban medical team in Botswana had been devoted to serving Batswana and ensured delivery of quality services as well as contributing to the development of the health sector. He said under the existing cooperation, Cuban government sent medical specialists to Botswana and also three scholarships in the area of medicine. He said they had over the years been doing well in the area of medicine citing that they had developed a lot in bio-technology products and research. Mr Corrales said they had developed many vaccines that were currently being used by medical practitioners around the world. For his part, the council chairman, Mr Reaboka Mbulawa said the two proposed areas of cooperation were highly welcomed in the district adding that cases of diabetes were high and that malaria was more prevalent in North West. Mr Mbulawa said the intervention of the Cuban government would go a long way in reducing the impact. He said may be the district was not getting a high number of tourists because of the fear of contracting the diseases. Also, he indicated that the district still needs more doctors and specialists noting that currently they had seven instead of 21. He said the district had 29 primary health facilities which mean that there was a serious shortage. Mr Mbulawa said it was difficult to cover the whole district with the little they had and welcomed the two specialists who would be sent to the district. He acknowledged the good relationship between the two countries noting that Botswana had been enjoying good services from Cuba particularly in the area of specialists which remained a challenge in the country. He emphasised the need to continue nurturing the cooperation between the two in the field of medical assistance and he also thanked the Ambassador and his team for visiting Ngamiland indicating that it was the first time to host people of their caliber in the district. The chairman believed that what was discussed in their meeting would make a big difference in the district which was vast and faced with many challenges.